TalkTalk has announced that it is now offering a 'Fibre Optic Boost' to its broadband packages which will provide speeds of up to 40 Mbps. The 'Fibre Optic Boost' (their capitals), is apparently designed to appeal to those who want faster broadband – obviously. "The Boost will also help users share videos and photos with friends more quickly, and will allow the whole family to be online at the same time on different devices, without slowing the connection down," adds TalkTalk. It's a product of the company's fibre optic roll-out, as TalkTalk looks to improve its infrastructure. "Customers wishing to see when Fibre Optic broadband will be available in their area should visit www.talktalk.co.uk/fibre and enter their postcode and phone number," adds TalkTalk. People who want 'THE BOOST' (our capitals) can contact TalkTalk and get an engineer sent round to install a new modem and router and makes sure everything is working. 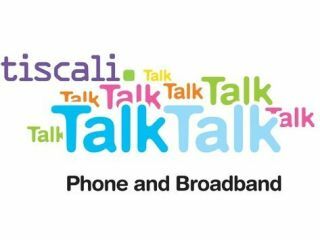 Tristia Clarke, commercial director at TalkTalk, said: "We are seeing increasing demand for superfast broadband and our Fibre Optic Boost is a great way to ensure seamless connectivity and high upload and download speeds. "This boost is ideal for a wide range of customers, such as families who all want to be online at the same time, people wanting to stream HD content, or gamers needing lightning quick response times. "The installation process is straight forward as an engineer will make a home visit to get the connection up and running. "We expect this boost to be very popular and will be aiming to make it available to as many people as possible."